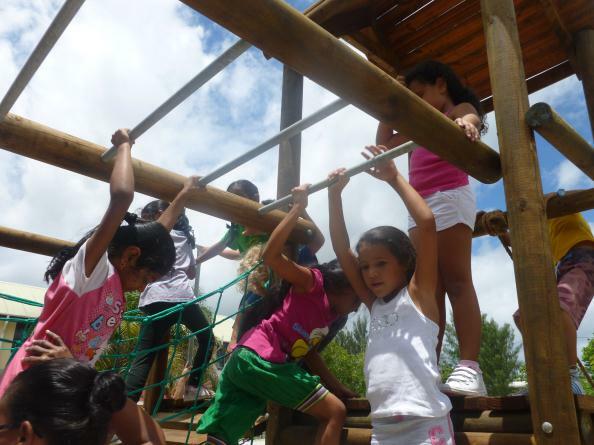 Children in the Early Childhood Section are now enjoying the new Jungle gym. Many thanks to the PTA and all the parents who supported this fund raising activity. 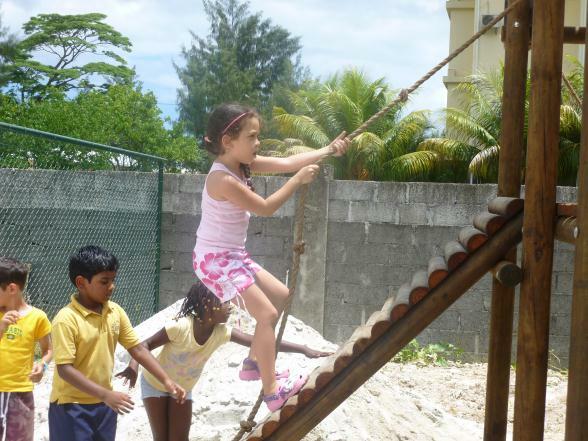 This is a very child friendly jungle gym which will help to develop the children’s large motor skills as well as provide endless fun. We are already using the playground at the back of the Early Childhood building. 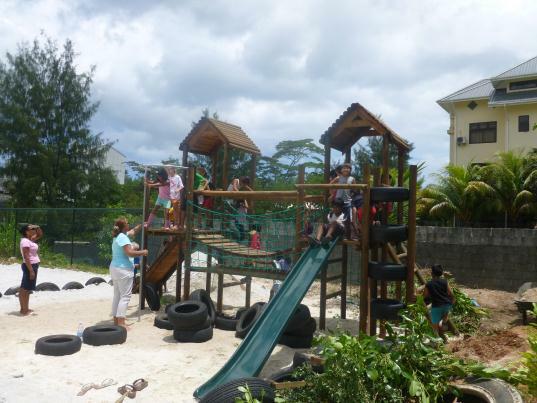 The area has now been levelled and covered with sand and after lunch the children in the Early Childhood Section are beginning to get acquainted with their new play environment. Outdoor play activities will include the jungle gym, little tykes play apparatus, the wendy house, a wormy play tunnel, see saws and various small apparatus such as balls, hoops etc. 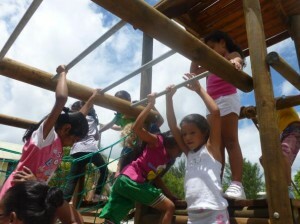 Early Childhood teachers are developing new routines for your children to ensure their safety in the larger play area. Lunches will still be in the covered verandah at the front of the building and after 15 minutes the children who have finished their lunches will be allowed to clear up their lunch boxes and proceed with the teachers to the back playground area. Children who prefer to eat more slowly may do so. We hope to move a sun shade sail over to the area but until then there is some shade in the area and children have the option to play in the shaded sand and water area inside the building.